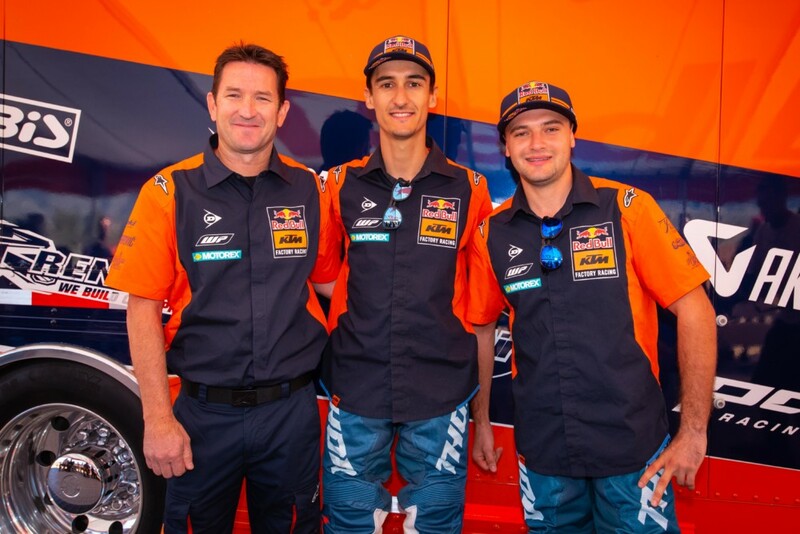 Big changes are in place for the Red Bull KTM Factory Racing Team this year as the squad takes on a new rider and new Team Manager for the 2019 season. With Ian Harrison officially heading the Red Bull KTM program in the U.S., the team will step into a new era as it builds upon the solid foundation set by Roger De Coster, and Harrison, from 2011 – 2017. De Coster, who officially became Motorsport Director KTM GROUP North America this year, will retain a more strategic and senior position in all of KTM USA’s racing activities, while Harrison assumes a day-to-day role with the team, in addition to the role of Technical Director for KTM’s efforts in the U.S. 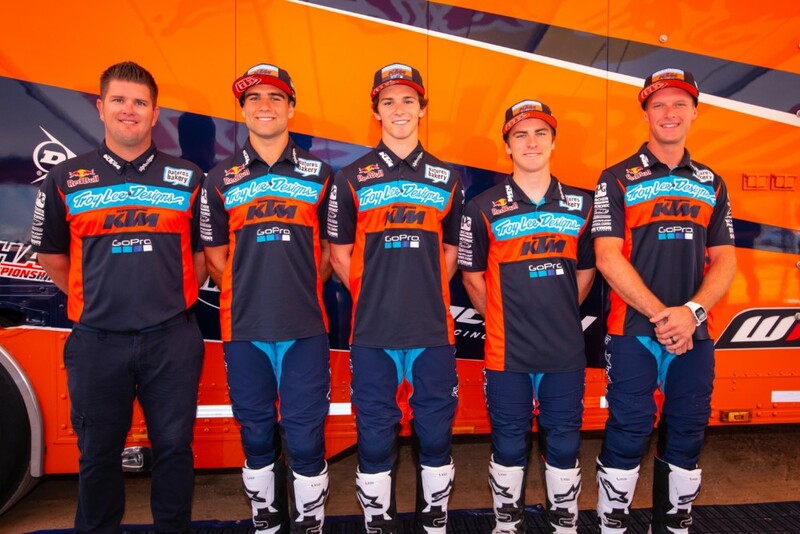 In regards to the team, it was recently announced that two-time 250SX West and 250MX Champion, Cooper Webb, will join French superstar Marvin Musquin on the Red Bull KTM Factory Racing Team and the duo will pilot the KTM 450 SX-F Factory Edition in 450cc competition for the AMA Supercross and Pro Motocross Championships. Troy Lee Designs/Red Bull/KTM will once again serve as the official KTM 250 factory team in 2019, with a four-rider lineup this season. 250cc veterans Shane McElrath and Jordon Smith will head up the team’s efforts, while 19-year-old Sean Cantrell returns for his sophomore season and his 19-year-old counterpart, Mitchell Falk, is set to make his professional debut at the start of the 2019 season. Team Manager Tyler Keefe will continue to oversee the team’s operations, while working closely with KTM to achieve the ultimate success in 250cc competition. 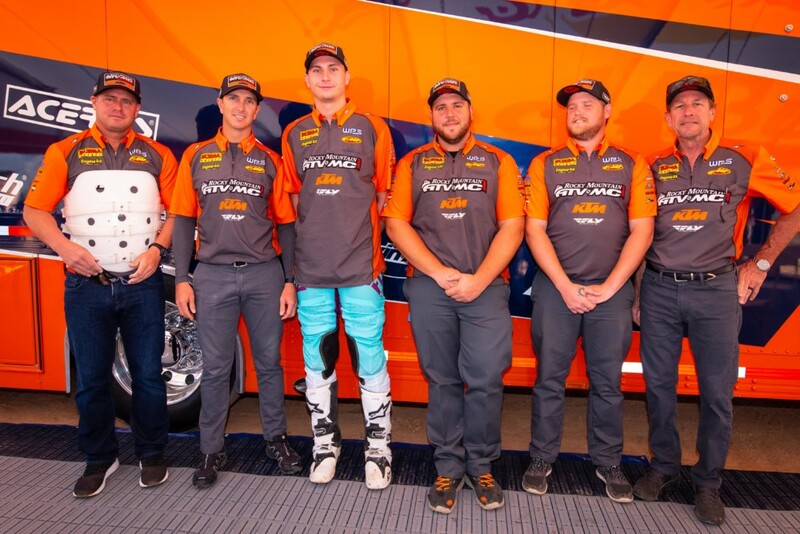 The Rocky Mountain ATV/MC – WPS – KTM team, which will field two riders in the 450cc division for both AMA Supercross and Pro Motocross, continues its association with KTM for 2019. With Team Manager Michael Byrne back for a second season and Team Owner, Forrest Butler, injecting his many years of professional experience, team riders Blake Baggett and Benny Bloss look to put all the pieces together for a successful season aboard the KTM 450 SX-F FACTORY EDITION. The 2019 AMA Supercross Championship begins on Saturday, January 5, 2019 for the Anaheim SX season opener.